Classic Car Magazines - Which One Do You Like? What Classic Car Classic Car Magazines - Which One Do You Like? | Cars, Clubs, News……. We have presented below a brief introduction to some of the main Classic Car Magazines. Packed with hundreds of classic cars and parts for sale every week and the news stories that matter to real enthusiasts, Classic Car Weekly is the UK’s must-read classics newspaper. Number One for buying guides, road tests and contains the most comprehensive and up-the-minute classic car events guide. Subscribe to Classic Car Weekly and benefit from the best discounts and free gifts available. 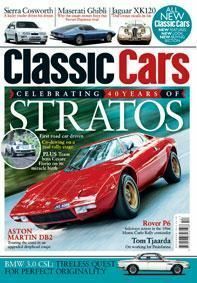 As the publisher, we guarantee to provide the best Classic Car Weekly subscription offers and FREE UK Delivery. The original classic car magazine. Classic Cars magazine is Britain’s longest-established classic car title and takes you back to the most interesting cars and people from the past. Get the magazine that’s packed with road tests, drive stories, expert buying advice and news about the best events and products to spend your money on. Subscribe to Classic Cars magazine and benefit from the best discounts and offers available. A Classic Cars magazine subscription will also make an ideal gift or present – so buy today for the best offers, with FREE UK delivery.